Instead of grunts and shouts from the high chair, I’m now hearing, “Snack! Snack!” or, at least, a semblance of such. Scarlett is one hungry girl and surprisingly eager to try whatever I’ve got on my plate. 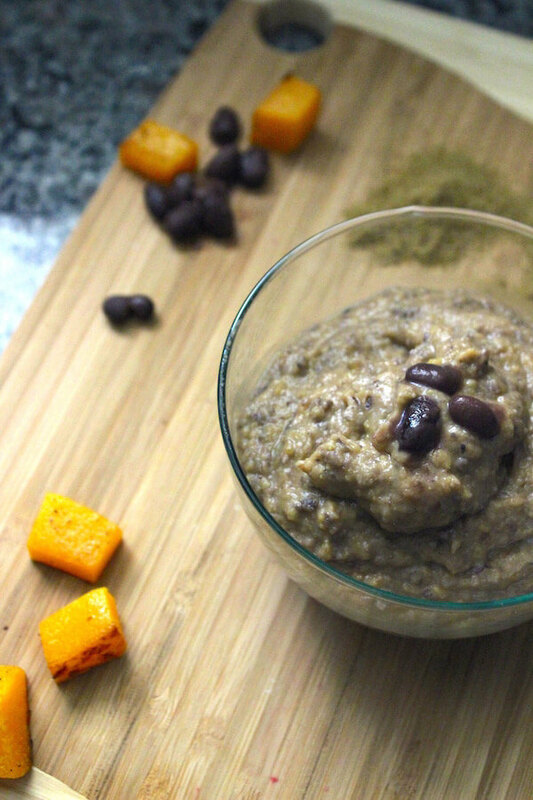 I’ve been so happy that she naturally accepts most new textures and flavors, including my Apple, Strawberry and Beet Puree and now this wildly flavorful Butternut Squash, Black Bean, and Cumin Puree. 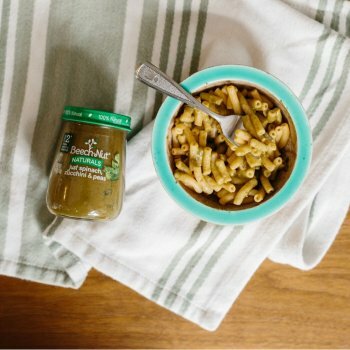 It’s very easy to make with organic ingredients and your family will love it! I started with a whole organic butternut squash, and I wanted to roast it before blending to bring out its flavor and bright color. I chopped it into even pieces and roasted at 425° for 18 minutes. 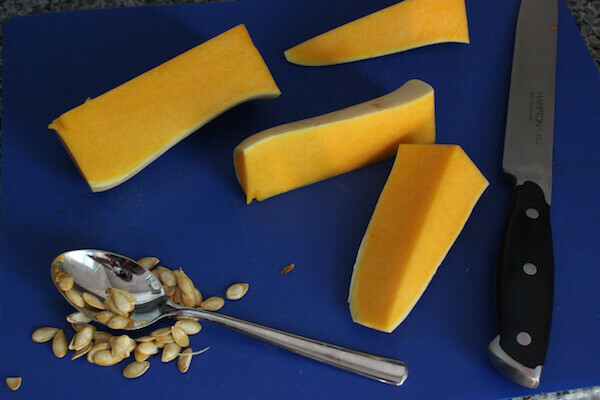 It was the perfect amount of time for the squash to be cooked soft and still maintain its texture. 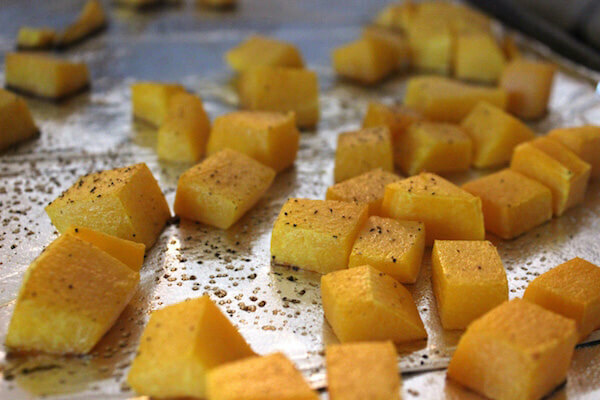 I made a few extra bites of squash for my five-year-old at dinner, and sprinkled some with salt and pepper, along with olive oil for roasting. 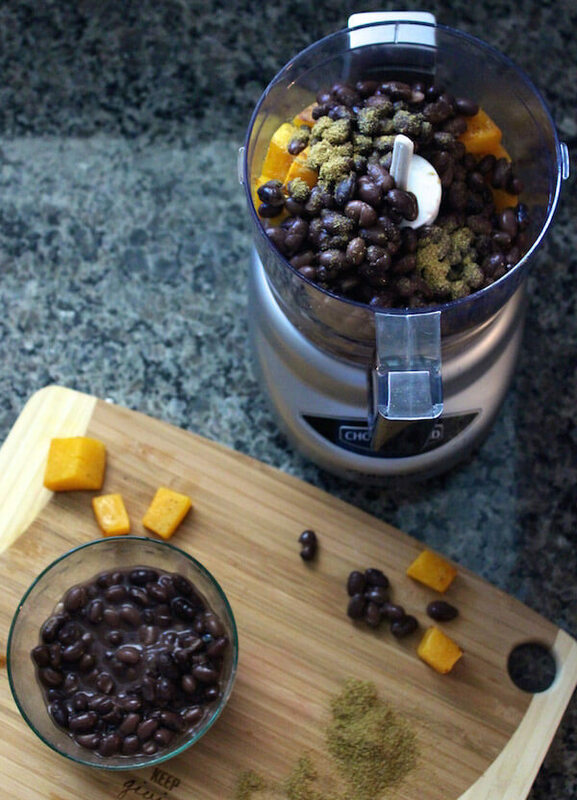 Equal portions of squash and beans went into my little food processor, along with a smidgen of cumin to really pack a flavorful punch. A little goes a long way, so if you’re worried about amounts, start small and work your way up while blending. Just look at that texture! 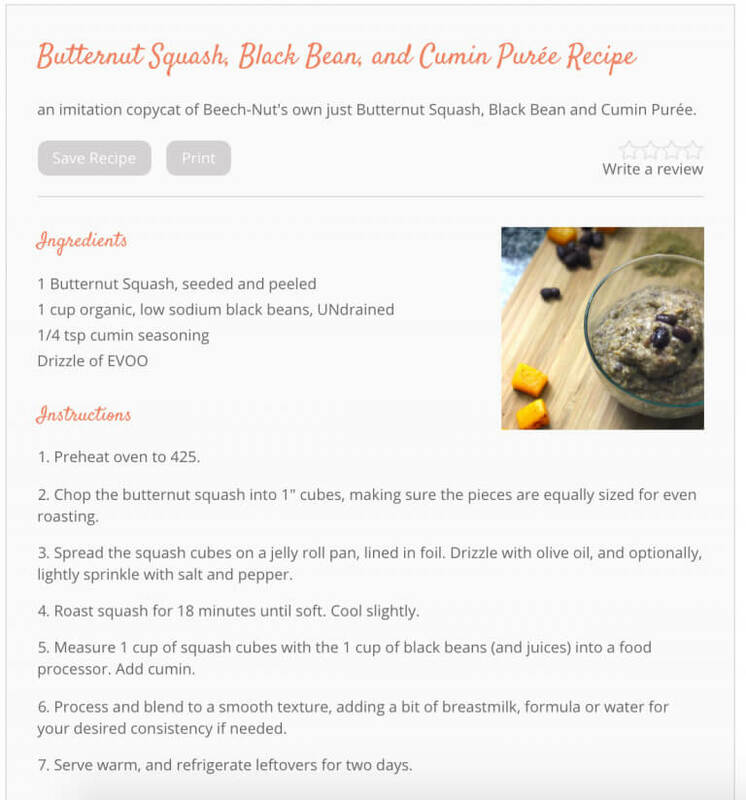 This butternut squash, black bean, and cumin puree is a perfect stage 3 food, easing baby into eating yummy roasted veggie bites with skins, chewy beans and various seasonings to excite the palate. After only a bite or two, Scarlett wanted to pick up globs from her bowl and feed herself. We’re starting to work with the spoon a little bit, and I’m personally working on my bravery to let her make a mess! Scarlett is eating larger portions at each meal, so I’m no longer freezing my extra stash. Instead I seal them into containers for lunches during our hectic week. 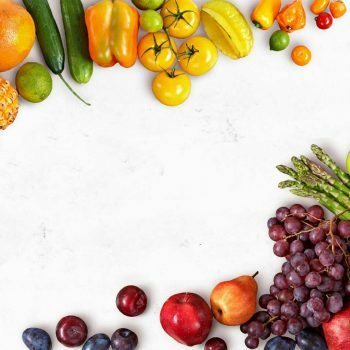 If you’re like me and sometimes don’t have time to make your baby’s food at home, Beech-Nut offers some great Stage 3 varieties. You can try Beech-Nut® Organics™ Stage 3 just butternut squash, black bean & cumin for a quick and flavorful entrée for your child or mix it into your taco meat for an extra veggie punch! 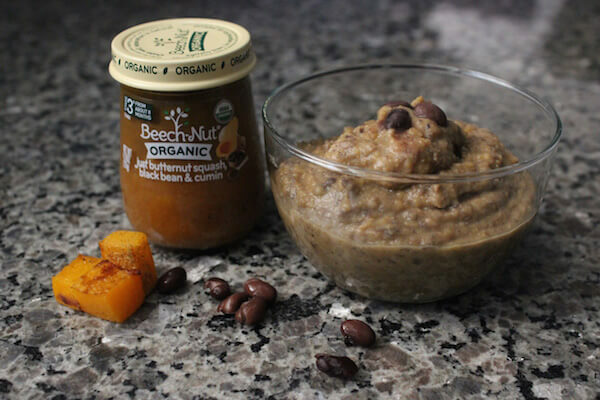 Find where it’s sold near you using Beech-Nut’s store locator. Disclosure: This post was sponsored by Beech-Nut and originally appeared on Redhead Baby Mama. All opinions and thoughts expressed come from Lindsey.